As we were brainstorming ideas for our set of animal bookmarks, my oldest daughter insisted that we include the top two cutest animals – koalas and pandas. Apparently, this was determined by an unofficial polling of her 4th grade class. I’ve got to agree with them. Koalas and pandas are very cute. 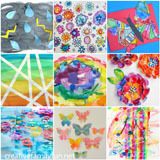 And if a random sampling of 4th graders think they’re cute, then we’ll have to make some bookmarks. 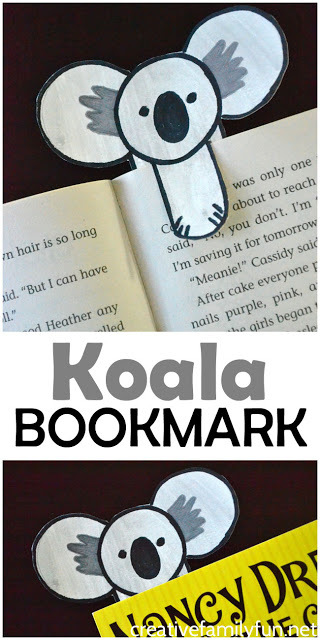 Let’s start with this fun koala bookmark. 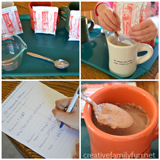 This bookmark is super easy to make if you follow these step-by-step instructions. 1. 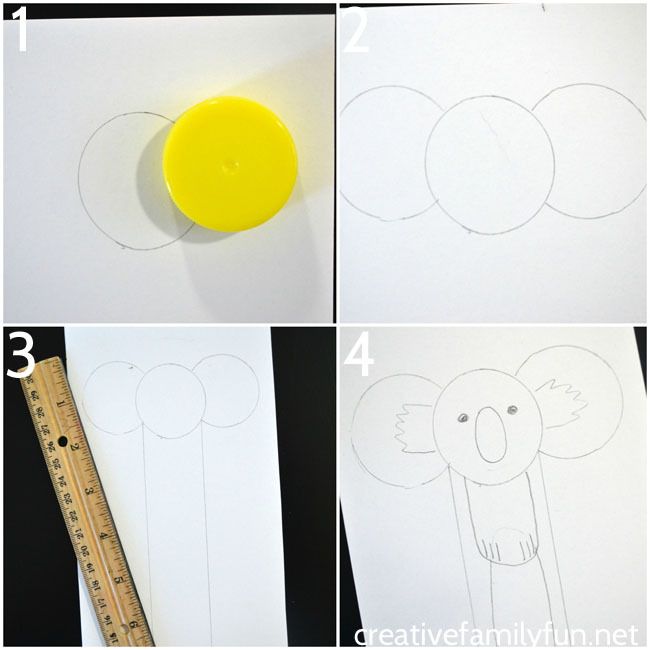 Trace your milk cap to make your koala head. 2. 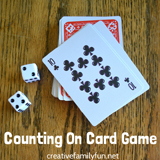 Trace the milk cap two more times for your ears. Position the ears a little bit higher than the head and just slightly overlapping. 3. Use the ruler to make two straight lines down from the head, about 6 inches long and about 1-1/4 inches cross. Connect the two parallel lines with a straight line across the bottom. Draw a vertical oval in the center of the head for your nose. Add two small eyes on either side of the top of the nose. Draw the insides of the ear. Add the paws. Start from the bottom of the head and draw a long oval shape with straight sides about 1-1/4 inches long. Add little claw marks to the bottom. Finally, starting from the bottom of the paws, draw a long oval for your koala belly. Now that you’ve drawn your koala, it’s time to add some color. 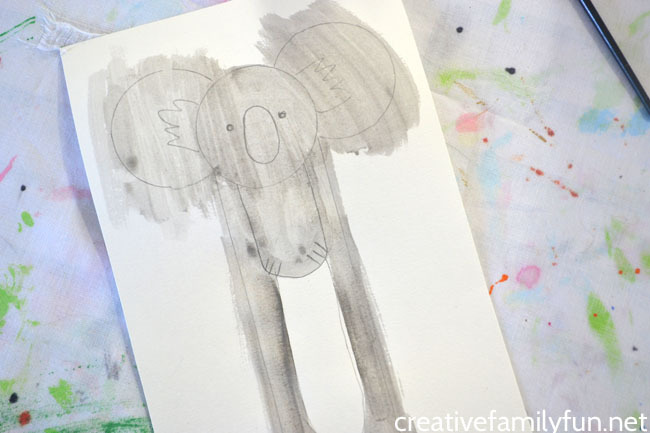 Use gray watercolors to paint everything but the belly circle. If you don’t have gray in your watercolor palette (I didn’t), just make a mixture of white and black to get the shade you want. After the paint dries, use your gray marker to trace around your belly circle and also use it to color in the middle of your ears. Use your black marker to color in your nose and to trace all other lines. Once you have all your lines traced, cut out your bookmark. Use a craft knife to cut around your paws. You want to leave the paws attached to the head, so do not cut that line. Note: I have this ceramic craft knife that I love to use. It’s easier to hold, stays sharper, and is much safer than a retractable craft knife. If you are ready to let your child use a tool like this, this is a great choice. If not, have an adult do this step. 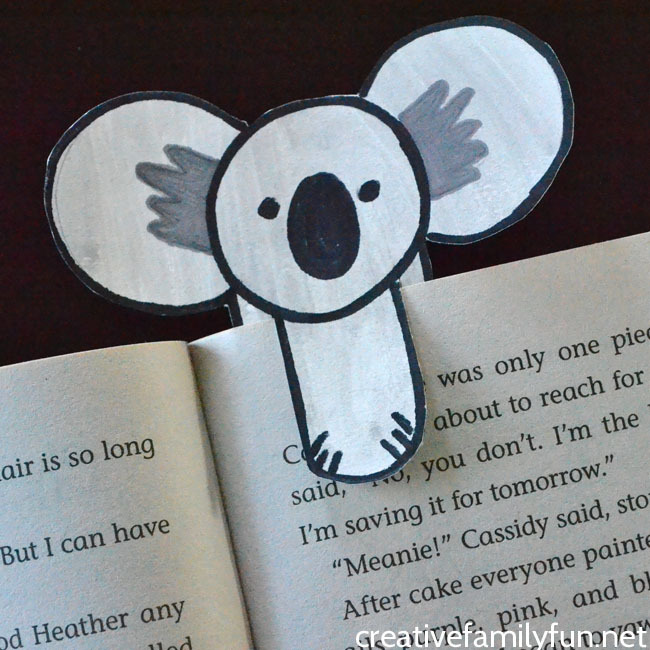 Now your super-cute koala bookmark is ready to go. Go impress all your favorite 4th graders. 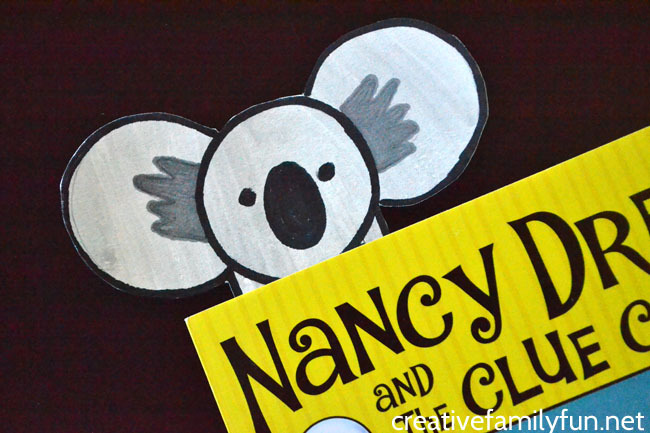 They’ll love this koala bookmark! 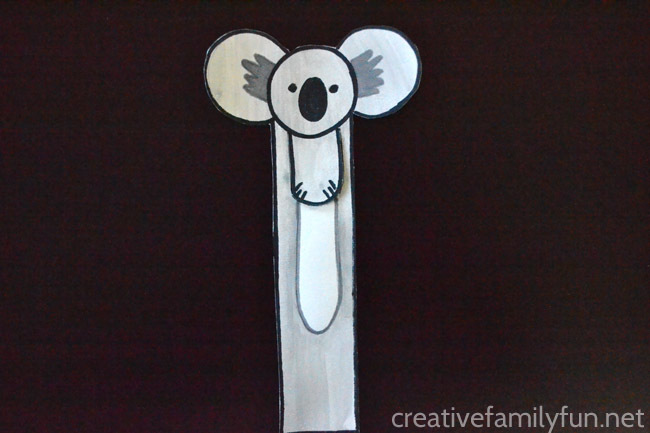 If you enjoyed this koala bookmark craft, the above photo is perfect for sharing on Facebook. 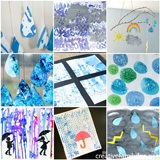 Or, you can save the photo below on Pinterest.